← One Of Ten Thousand: Which Step Will You Take? Some stories are meant to carry their meaning to a wide audience: they seek clarity, using images, metaphor, analogy, and prose, to provide clarity of understanding. They hope that ‘message sent’ is ‘message received’. Technology has driven us to ever greater synchronicity of communication, higher definitions imagery, and more immersive and compelling channels. We live in a universe of stories, some of which gain power from clarity. But not all. 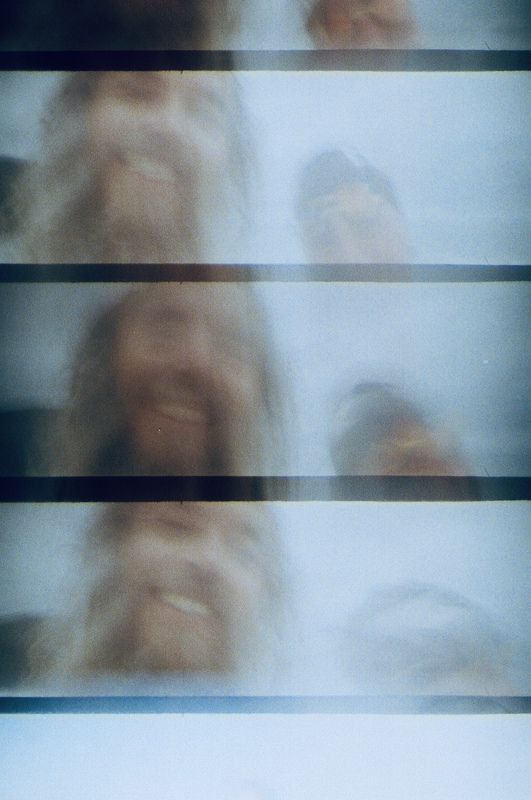 I love this picture: i took it on my LomoKino cine camera in January, down in Cornwall in the UK. The picture is almost indecipherable as it’s taken in the surf, and the body of the camera is flooded with water, the lens salted up and dripping. The light was bad, and the case leaks light. But to the two of us in the picture, it’s worth a thousand words. Surfing with a best friend is a jumble of light, sound, and motion, with a few cuts and bruises picked up along the way, and when done in January, it’s a freezing experience too. We taunted each other to wade in, and tried to out compete each other for how long we stayed. This image is captured as we waded out. A story that hold almost no content within it. The meaning is entirely held by two of us, in memory. In that sense, the image is iconic, not representative, the meaning is imbued, not innate. You cannot measure anything in this image, you cannot discern the story from outside (although you could guess a narrative and impose your own understanding). For me, it’s evocative, but for others, it lacks form or composition, context or depth. Part of how we write the narratives of our lives comes through imbued meaning: stories imposed onto artefacts, like the stones and conkers that dot every window cill in my house, relics and memories of woodland walks and liminal treks. Sometimes, we seek to impart meaning within a story, and choose a story form that will carry that meaning forward, whilst at others, the story must do no more that prompt a recollection. It’s the trigger for memory. Some stories are for everyone, others, just for two of you. Treasured memories. This entry was posted in Storytelling and tagged Meaning, Stories, storytelling, Surfing. Bookmark the permalink.